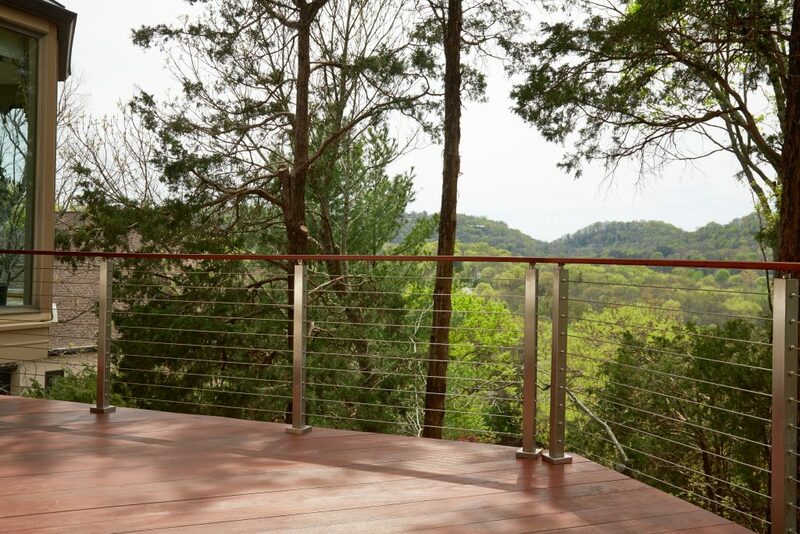 This home in the heart of Nashville boasts outstanding views of the rolling mountains. 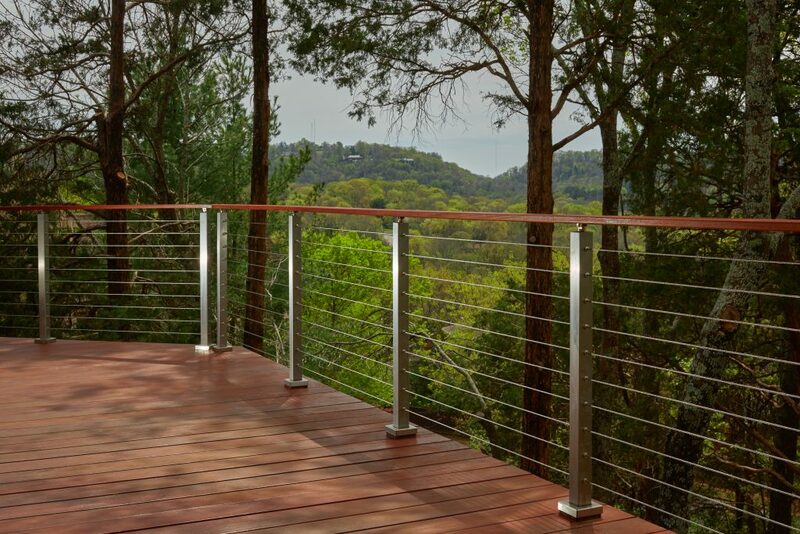 The brushed stainless steel posts catch and reflect the glistening sun. 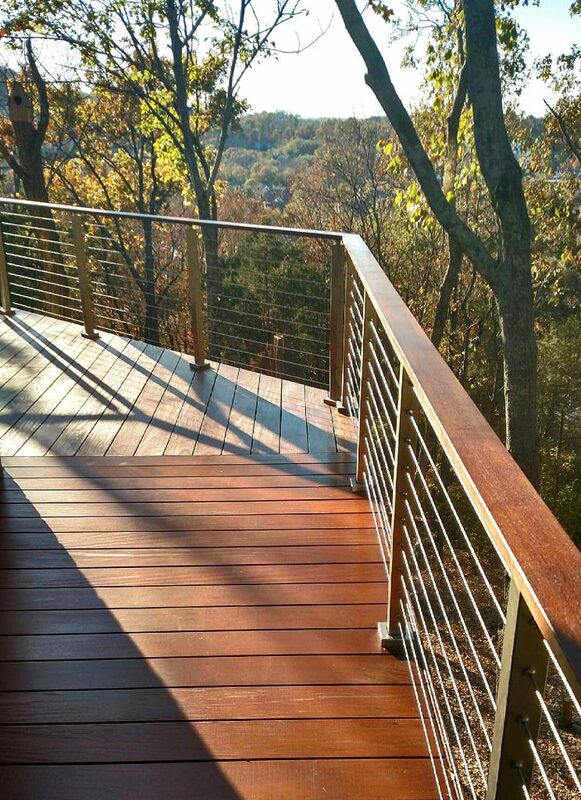 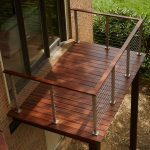 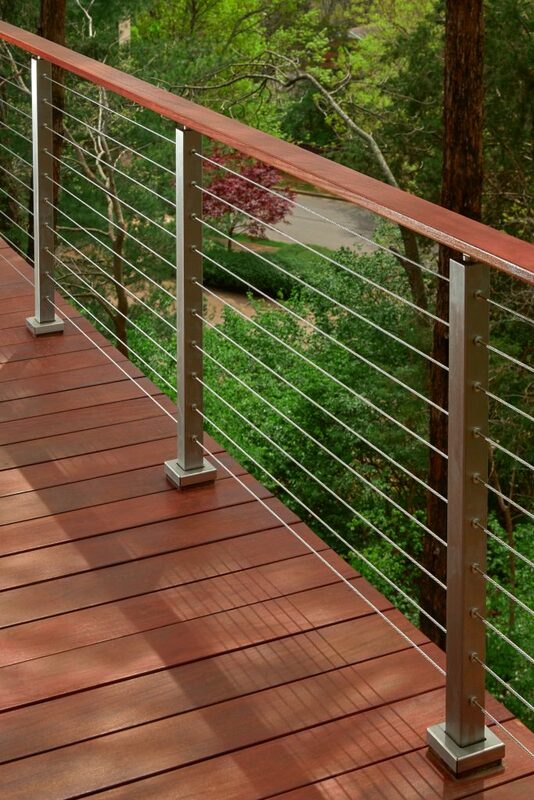 Concurrently, the wood handrail makes the system cohesive with the natural surroundings. 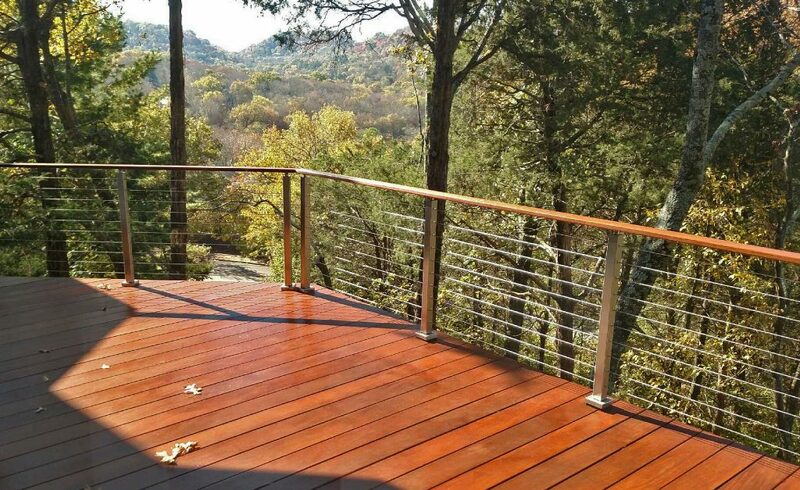 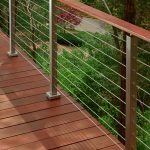 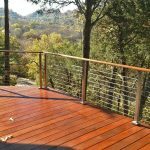 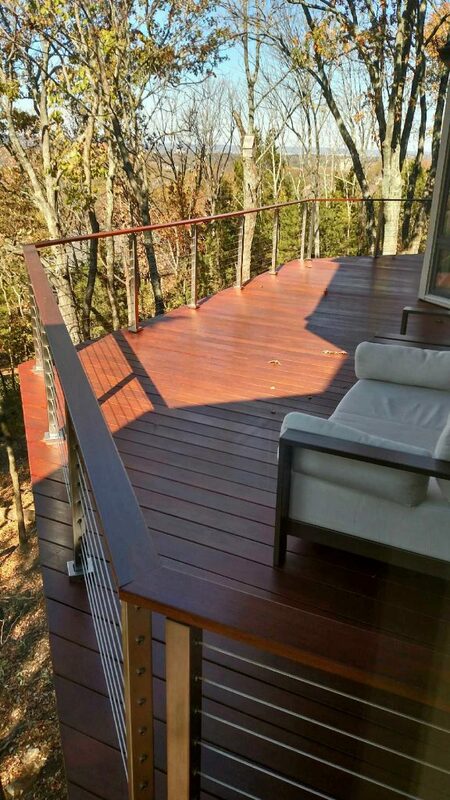 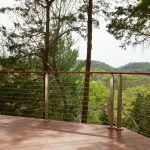 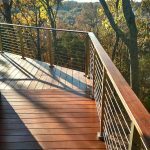 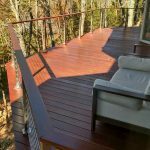 In his design, this customer elected to double post the corners of this deck to provide extra durability and tensioning strength to the system. 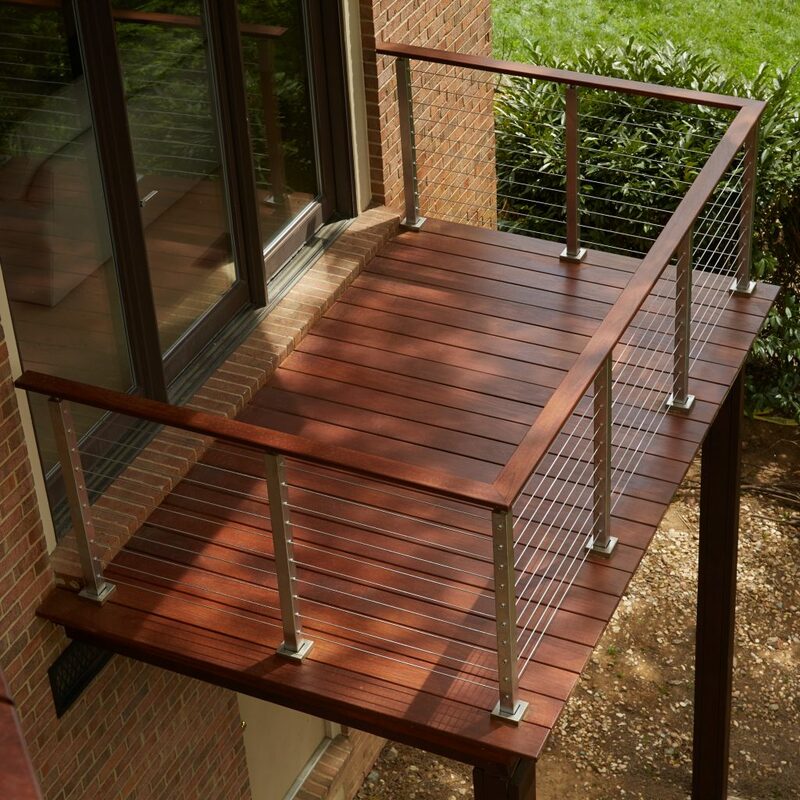 In this scenario, the doubled posts remain sleek and allow the full view to shine through.